I have had a 2013 Ford C-Max 1.0 Ecoboost from new. It has done 63,000 miles and been regularly serviced. Last September the engine seized and Ford replaced it at no cost to me. The bill was around £5,500 and Ford paid the dealer to repair it. About three months ago, the same thing happened and another new engine was fitted at the same cost. Ford has offered around £2,000 contribution and says that the previous replacement did not have a warranty attached. The car was serviced by a Ford dealer in April this year. What do you advise please? Thank you. What happens is that the degas pipe fails. This pipe takes superheated steam from the water-cooled turbo back to the expansion tank. Loss of coolant from the failed pipe causes engine failure. Even if the pipe is replaced before the engine actually fails, it may be internally damaged and that damage may take a while to surface. This is very well documented and Ford is now clearing up the cases where it initially did not support owners: See: /carbycar/ford/focus-2011/good/ ; /carbycar/ford/fiesta-2013/good/ ; /carbycar/ford/c-max-2010/good/ ; and /news/miscellaneous/2018-08/urgent-appeal-to-owners-of-ford-10-ecoboost-engines/ You have strong grounds to insist you should pay nothing. Our 2007 Ford Focus CC3 2.0 turbo diesel (of which we are very fond) went into our local Ford dealer 10 days ago in order to have fuelling and particulate problems remedied. This included a high rev/high temp run of the engine. On a road test, the engine had a “diesel runaway”, which was stopped, and we don't yet know how much damage was done. So far, all we have been told is that all four injectors need replacing. We would much appreciate your comments on this diesel engine characteristic and whose responsibility it is to repair the damage. This reads as if diesel fuel post-injected via the engine to promote active DPF regeneration has instead sunk into the sump, raising the sump level to a point where a compression ignition engine begins to run uncontrollably on its sump oil. If the sump oil level was not checked prior to the test run, then that was very negligent of the garage. If it was checked, was a normal level and the fault is actually with the injectors then you will have to pay for the repair. My son bought an Audi A3, which we collected from Edinburgh, a distance of 65 miles. We travelled home in convoy, through the city and down the A1 in quiet traffic conditions. I followed the Audi in my Freelander II. Both cars are the same age and approximately the same mileage. The Audi returned 57.4mpg to the Freelander's 31.4mpg. Apart from the disgraceful difference, what is the reason for the almost twice the return by the Audi? Presumably the Audi is a diesel? The difference is accounted for by the fact the Audi is much smaller. See: /realmpg/audi/a3-2012 / and /realmpg/land-rover/freelander-2-2006 / The Freelander II never was very economical. We currently own and drive two cars: a Honda CR-V for towing a caravan and long journeys, and a Honda Jazz for running about in. As I retire at the end of the year, we only require one car and particularly like the new Honda CR-V. We have been offered both cars as part ex and for us to pay £19,000 on top. Our CR-V is 5 years old, and the Jazz is 18 months old with 15 months left on the PCP. Should we go for this deal, or keep both cars for another year? Too many variables for us to unravel the deal. New CR-V range is priced from £25,995 to £36,455: /road-tests/honda/honda-cr-v-15-vtec-turbo-2018-road-test/ And we have also just tested the new CR-V Hybrid: /road-tests/honda/honda-cr-v-hybrid-2019-road-test/ Here's our price page for a 2013 Honda CR-V (you'll have to fill in the detail): /used-prices/Honda/CR-V/2013/ Then you have to work out how the Jazz fits into the sum (it probably doesn't as any 'equity' in it is doubtful). Two days ago my neighbour awoke to find his car, normally parked overnight on his driveway two metres from his front door, had gone. The car is a C-Class Mercedes which has the "keyless entry" feature. The police response was to provide a crime number and they said that if the key module had been set down, in the house, within about five metres of the car in the drive the thieves would have been able to have cloned the key. And, thus gain entry and steal the vehicle. It would be most interesting to know just how vulnerable vehicles might be when fitted with this feature. Are you able to comment, and are there any simple protective measures that can be taken like keeping the key, whilst in the house, in whatever container that prevents the key's emissions being picked up? I also leave my car outside overnight, which is a Jaguar XF. I contacted the local dealer who has no knowledge of this sort of problem, but, I have picked up that "in the trade" there seems to be an awareness that there are flaws in some manufacturers keyless systems. Can you comment please? Extremely vulnerable. All the thief has to do is boost the signal from the key to the car to the extent the car thinks the key is present and it can be started and driven away. However, Mercedes and Skoda keys have a feature that enables the driver to disarm the key so it no longer emits a signal and cannot be boosted, but few drivers bother to do this. The other way to prevent signal boosting theft is to put the key in a 'Faraday cage' such as a sealed tin or aluminium box or a Faraday pouch purchased from an accessory shop such as Halfords. I am about to move into a 1970s built block of flats that I have owned and let out to non-car owners for a couple of years. The only parking for owners is in a brick-built line of narrow garages. The doorways have an 83-inch clearance, and halfway down the internal walls is a supporting narrow pillar of 3" inches on each side. Please can you tell me if there is any car (hopefully second hand) that would allow me to either drive into, or reverse into, this space and get out of the driver's side? 83 inches is 2,108 mm, so no problem for most cars to get through the doorway but you have not told me the internal width of the garage that may be supported by intrusive brick pillars. That said, a Hyundai i10 is less than 1,600mm wide so should easily fit into the garages. I am about to purchase a 2015/15 MINI Countryman 2.0 Cooper S Diesel Automatic.reg CA15MXS. Can you answer the following please: Is the 6-speed ‘Steptronic’ gearbox a torque converter? If not what is it and potential problems? How often and how far should it be driven to clear the DPF? It has regular 205/55 R17 tyres - not run flats - and panel alarm pressure indicators. No spare or inflation kit. Should I get an inflation kit, if so what? Or just call the AA when needed? The dealer said there is no need to post the V5C/3 back to the DVLA as this can now be done online. Is this correct? My three year old Skoda Octavia 1.4 TSI 150PS is due for a service. I have contacted two local dealerships for a price and also questioned whether the cambelt needs replacing (at 30,000 miles). One has said yes and the other has stated that this car has a timing chain that does not need attention at this time. Mindful of comments in your weekly column on previous problems with some of the VAG timing chains, could you advise which is correct? The engine number is : CZDA400821 and the car was manufactured in June 2015. 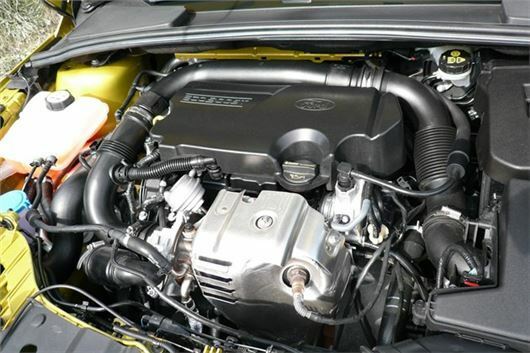 The CZDA is the later timing belt 150PS version of the EA211 engine, fitted to MQBa based VAG cars from late 2012. We say new timing belt, tensioner, waterpump and aux belt at 5 years or 60,000 miles whichever comes first. Don't go anywhere near the dealer who said the engine has a timing chain because obviously his employees do not know what they are talking about. My Honda H-RV is two years old with only 2,000 miles, partly because I find the suspension too hard. It has Michelin Primacy 215/55R17 tyres (Green treadwear traction). Would smaller tyres improve the ride? If so, could you suggest which please? My daughter wants to buy a 2-seater sports car. I had a Mk2 Mazda MX-5 for 13 years and it was the best car I’ve ever owned so I recommended she consider the new MK4. However, we are concerned how Mazda seem to change the shape every few years and whatever she buys will soon look dated. She likes the new FIAT 124 Spider, which also resembles the MK2 Mazda, and, since the car is made by Mazda in Hiroshima, reliability may not be an issue and FIAT is unlikely to update the shape as often as Mazda. Do you know of any issues with the Spider? The MX-5 has only changed shape four times in its long history since 1989. The FIAT is unlikely to change shape because it is a retro evocation of the FIAT 124 Spider of the 1970s, but, rather than Mazda's fairly bulletproof chain-cam 1.5 and 2.0 non-turbo engines, the FIAT has a belt-cam 1.4 turbo FIAT engine under the bonnet. Good driver’s cars; tops drop in 10 seconds, but not a lot of cabin space inside either. My third VW Up is a GTI fitted with Goodyear 195/40 R17 tyres. I have a set of wheels from my last Up with Dunlop 165/70/R14 winter tyres. Can I use these, please? The circumference of the former is 72.68-inches and the latter is 72.56-inches. I don't think they will fit around the bigger front brakes of the GTI. I purchased a new BMW 330e saloon from Vines of Guildford in February 2017. I very soon started to notice that on certain coarse road surfaces such as the one that I have to use every time I leave home, there is an intermittent resonance rattle at between about 20 and 30 mph, which appears to originate from somewhere in the upper steering column area. I live about 60 miles from Guildford so it was not practical to ask them to cure the problem, so I booked it in with my local dealer, Marshalls of Bournemouth. They unfortunately have a problem in as much as there does not appear to be a road near their service facility that will consistently and reliably cause the rattle, although I was able to find one that allowed me to briefly demonstrate it to one of their technicians. Consequently, in spite of 2 lengthy attempts so far they have been unable to locate the cause or to know if any action they take has had any effect on the problem. As a result they have wasted a lot of their time (on a car they did not sell), and I have been put to quite a lot of inconvenience. I have tried to take the issue to a higher level by e-mailing BMW in Germany but they just refer me back to their dealers. In the end I decided to try to live with it but it seems to be getting worse, and I do not feel that it is acceptable on £35,000 motorcar. It seems to me that the only sensible way forward would be to be able to reproduce the rattle in a workshop environment by means of equipment that can subject the vehicle to a range of vibration frequencies. I believe that such equipment exists but have not been able to find any establishment that advertises this facility. Can you please let me know if you have any knowledge of such a facility, and/or make any other suggestions which might help, as although Marshalls still seem willing to go on trying I do not have too much faith that they are likely to find a solution. If you Google <Car vibration rattle specialists> you will find a number of suggestions of how to track the rattle. But beware the garage links. As usual, garage chains find way of using Google searches to direct people to them even though they are not specialists. Of course, might simply be caused by big wheels and low profile tyres on a poor road surface. But something similar has been reported in a Mercedes Benz C350e and I wonder if it’s caused by the transition from electric to engine power or the intermittent regeneration of the battery pack. I bought a brand new VW Amarok in 2014. After the first year the car had constant grinding noise and electrical problems (windows not working etc). I took the car back to the dealership and another VW garage 3 times. Each time they had the car for a few hours and could never find a fault. At the end of July his year on one of the hottest days of the year my car had catastrophic gearbox failure. VW have had the car for 7 weeks and have been trying to determine the problem (my green flag man told me instantly it was gearbox). After 7 weeks they have confirmed it needs a new gearbox and I have had to pay over £6000 to fix this. I desperately need my car back as it is my work truck. I am a builder and not having it has seriously hampered my business. The VW garage it is at says it is totally ridiculous for the gearbox to fail on a car not even 4 years old (less than 70,000 miles). I have been speaking with customer services and emailing Germany but they will not look into the previous issues and have just told me to contact the ombudsmen, which I will do. They are not sympathetic or helpful in any way. I was weeks away from buying a new Amarok, which of course I will not do now. The customer service I have experience has been shocking today the least. The fact it has taken them 7 weeks to determine the problem, that they will not look into the previous issues to see of they are connected. VW also do seem to have a problem with their gearboxes in humid urban conditions and I am surprised at the number of other VW owners who have gearbox problems. Do I have any rights here? The car was outside warranty so legally I don't know if I do but should we expect a gearbox to last longer than 3.5 years and also if previous problems have been reported do they not have a duty to look into this to see if they are connected? Also, if VW gearboxes have a problem in hot and humid urban conditions and they know about this, should they not also consider this? Probably not, but I wanted to ask your advice. The SOGA does not apply to a trade purchaser. Where does it state that he is?. States car bought NEW. He is a builder to TRADE, hardly makes him a buyer of a "trade car", now does it...?. Should have read this article with your specs perched on the end of your nose. "I desperately need my car back as it is my work truck. I am a builder and not having it has seriously hampered my business." He means someone using the car for commercial rather than personal use. Many, MANY warranties, for many MANY types of goods explicitly exclude commercial users from the warranty; even if it is something like a Fridge, that works exactly the same way for both private and small business users. Give the theft problem, why does the car industry persist with keyless entry? Every car I've had in last 15 yrs had/ has a proper key for the ignition and remote central locking, hardly a hardship. solution with keyless entry fobs is definitely Faraday pouches, and include ALL keys, most folk forget about the spare.